Description: Forest Park Collection II. 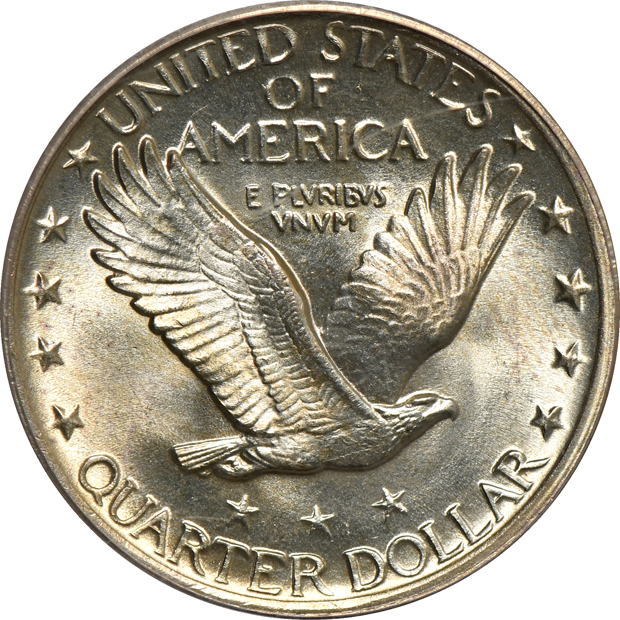 54 graded MS-65 FH, 32 higher at PCGS. A booming, lustrous amber-white gem, the quality jumps in your face immediately upon observation of this blazing, lustrous beauty. Somehow, the amber-yellow patina only manages to emphasize the long, swooping curves of luster that caress the surface, and close examination fails to find any marks, although a tiny carbon spot rests off the obverse extreme far left. Examining even more closely finds unquestionably sharp definition at Liberty's head, and the shield features surprisingly strong rivets populating the entire outer border. 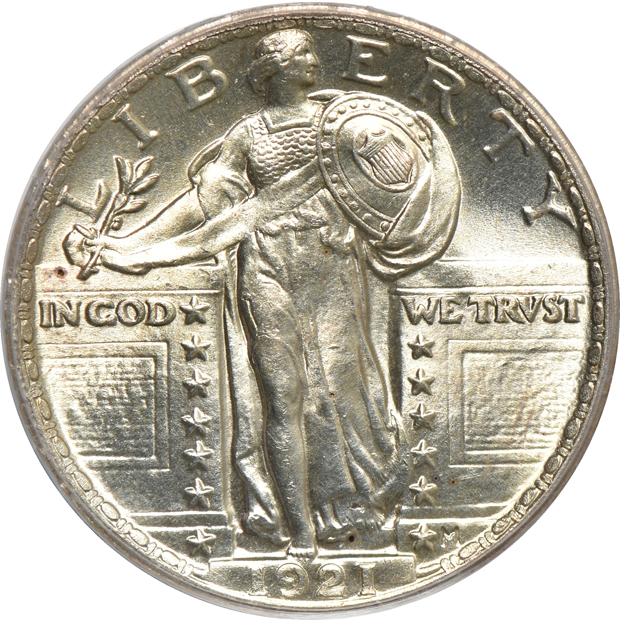 Interestingly, the first digit "1", notoriously absent on all well circulated examples, already shows signs of fading as the dies simply never brought that digit up to comparatively good relief on any 1921.